While there are plenty of hot, sunny days ahead, it’s time to start thinking about winter storage. I know, I know—it feels like we just put the docks in! However, a little thinking ahead can save you some hassle when it comes to prepping your water gear for storage. 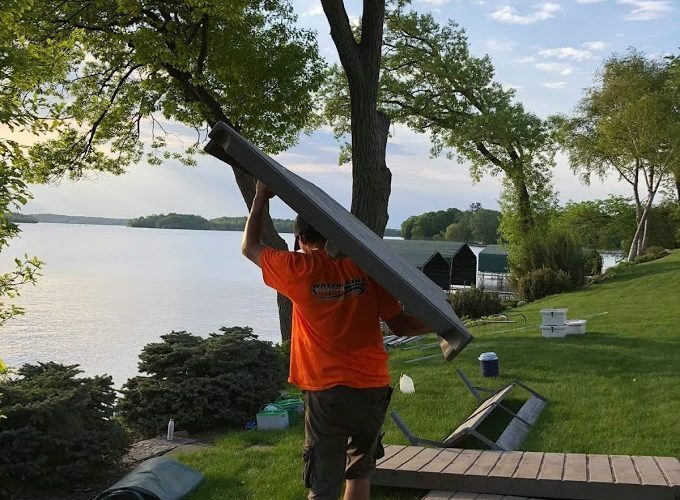 Canopy removal, dock cleaning, repairing equipment…the list can get pretty long! But don’t worry—we can do all of that prep for you! At Waterfront Solutions, we install and remove canopy covers. But did you know that we can also properly clean your canopy for you? We use mild, non-abrasive, and eco-friendly soap to gently and thoroughly clean canopies without damaging them, extending their lifespans. Once the canopy is out of the way, it’s time to take out the lift and dock. But wait, not so fast! There are other tasks. Like canopies, lifts and docks winter better when they have been cleaned and prepped for storage. After sitting in lake water and weeds all summer, a good dock cleaning goes a long way. 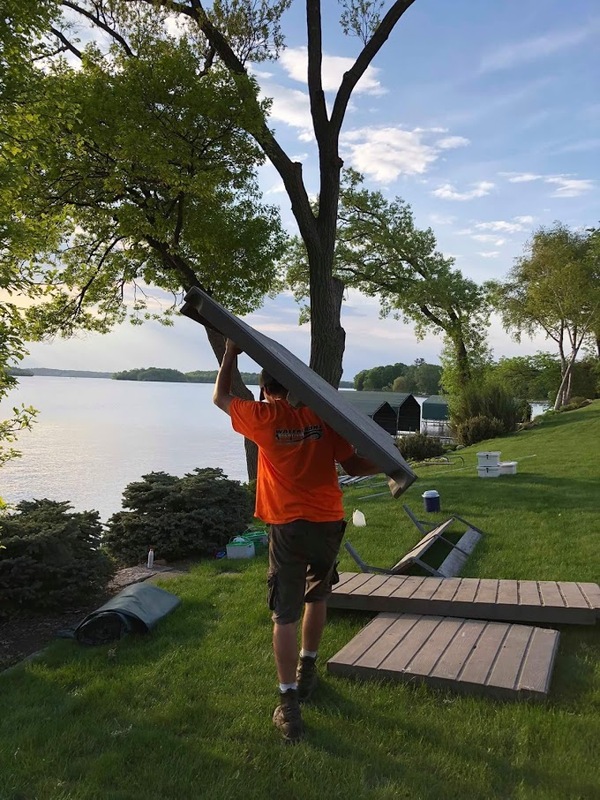 We can also repair or replace any dock or lift pieces that broke during the season. Do you stain or refinish your dock in the spring? Consider having us do it before it goes in to storage! Fall is the best time to redo your dock because it is clean for storage and it saves you time and stress during the busy spring installation months. Give us a call, and we can take care of fall cleaning your canopies, docks, and lifts. Don’t wait, because this service won’t be available after October 1st! After that, we will be busy pulling docks and won’t have time to schedule any more cleanings. Love your service? Leave us a review! 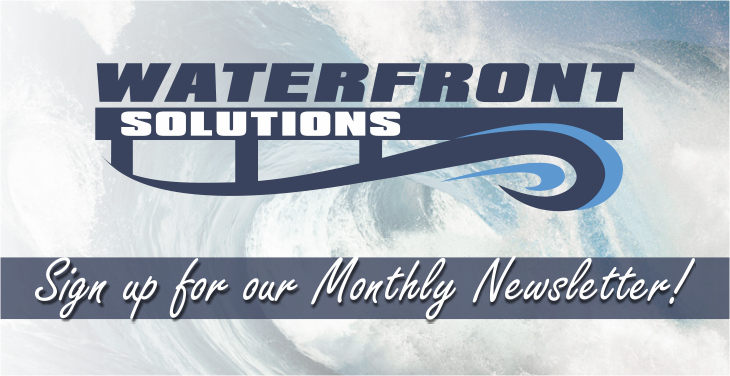 Waterfront Solutions provides timely dock, boat lift and canopy cover installation and removal; aquatic weed removal from your lakefront property; and marine equipment cleaning and restoration.